Vivo X21 was the first phone that was announced with an in-display fingerprint sensor. It was launched in China and some other south Asian countries. Now, according to a report the Vivo X21 UD will be priced at Rs. 34,990 in the Indian market. Although there is no information on its launch date in India. Vivo had announced the Vivo X21 in China back in March. The smartphone comes in two models – a standard variant and another with an in-display fingerprint sensor. As per the report by PhoneRadar, the company will launch only one variant in India with the in-display fingerprint sensor priced at Rs. 34,990. Apart from the in-display fingerprint sensor, glass body, dual cameras, FHD+ 19:9 display with a notch, Snapdragon 660 and Android 8.1 Oreo are its core features. 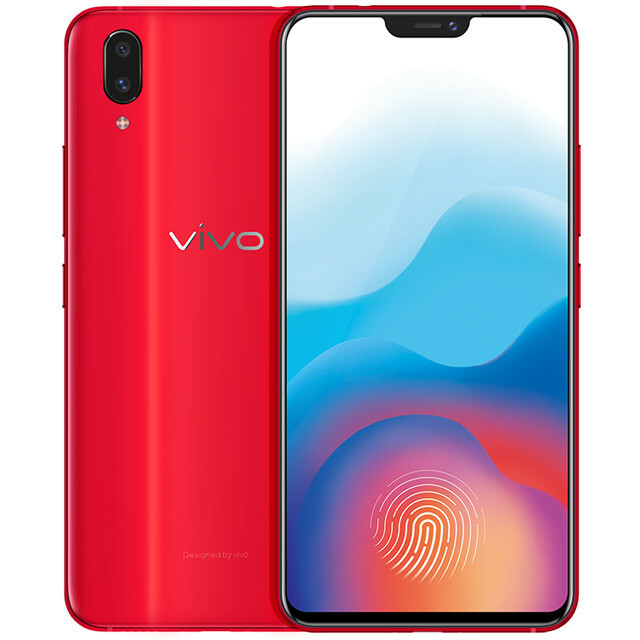 The Vivo X21 sports a 6.28-inch FHD+ (2280 × 1080 pixels) 19:9 Super AMOLED display with minimum bezels and notch at the top. As mentioned, the device features 3D glass body and in-display fingerprint sensor. The phone runs Funtouch OS 4.0 based on Android 8.1 Oreo, but you will be able to install Android P Developer Preview as well as Google has included it as a part of its Android P Developer Preview program. The Vivo X21 is powered by an octa-core Snapdragon 660 processor with Adreno 512 GPU and a dedicated AI chip that comes with enhanced AI features. Memory wise, it packs 6B RAM, 64GB or 128GB internal storage which is expandable up to 256GB with microSD. In terms of optics, the Vivo X21 sports dual rear cameras featuring 12MP sensor with f/1.8 aperture and a 5MP sensor with f/2.4 aperture. For selfies, the phone comes equipped with a single 12MP front camera with f/2.0 aperture and AI beauty recognition. Connectivity options include 4G VoLTE, WiFi 802.11 ac (2.4 GHz + 5 GHz), Bluetooth 5.0, and GPS. It also features an AK4376A Hi-Fi audio chip for enhanced audio. The device packs a 3,200mAh battery with fast charging support. Along with the under-display fingerprint sensor, the Vivo X21 will also come with face unlock feature.